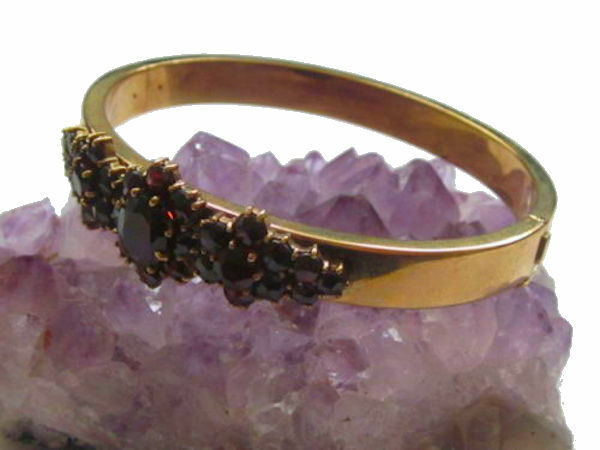 Something special for enthusiasts of antique, beautiful jewellery from the Biedermeier era, from around 1900. 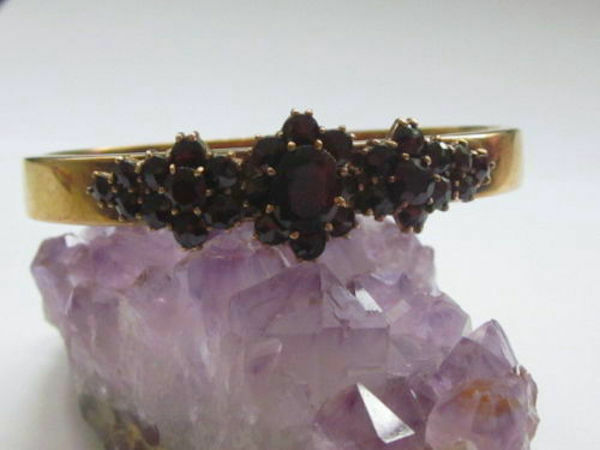 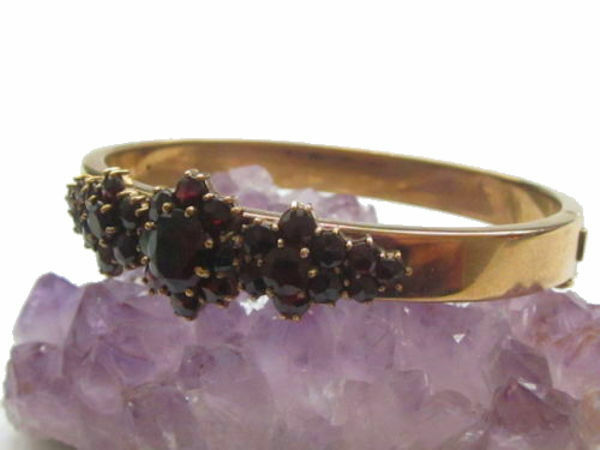 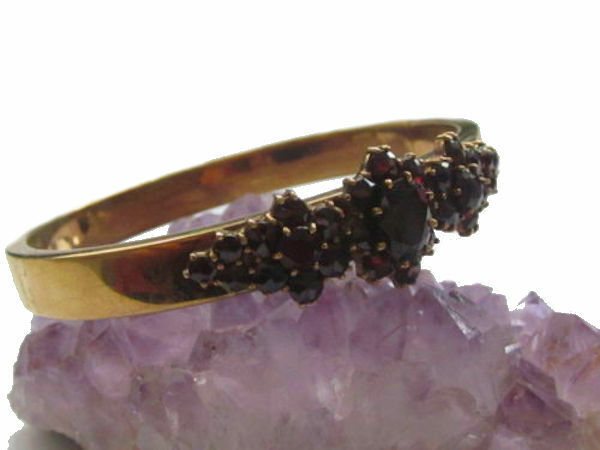 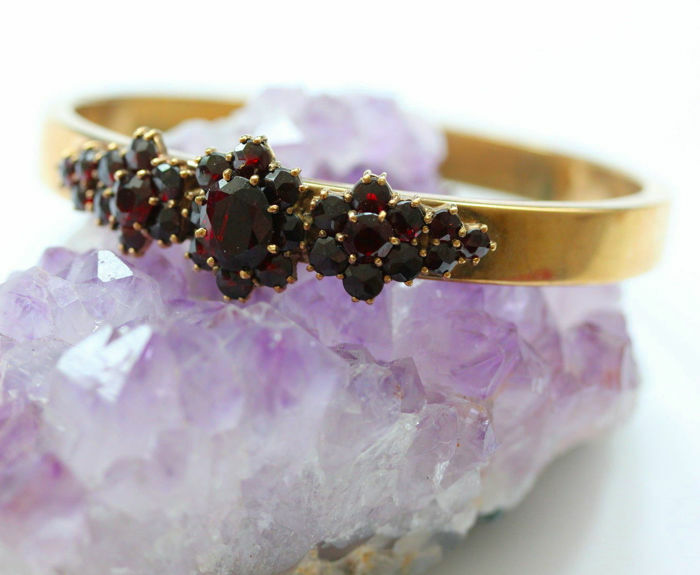 Biedermeier bangle with a floral design with dark red Bohemian garnets, made of 333 / 8 kt yellow gold. 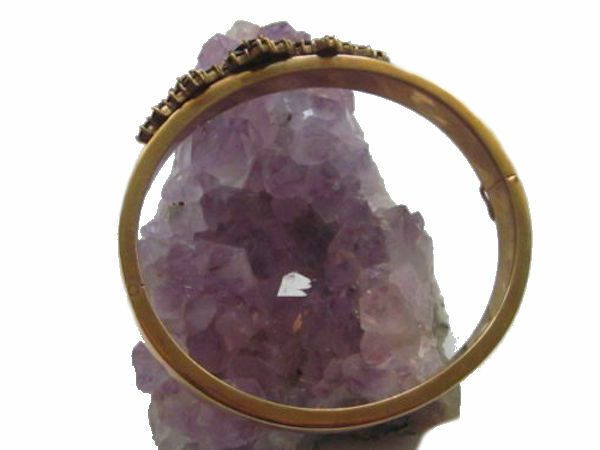 A beautiful oval bangle with box clasp. 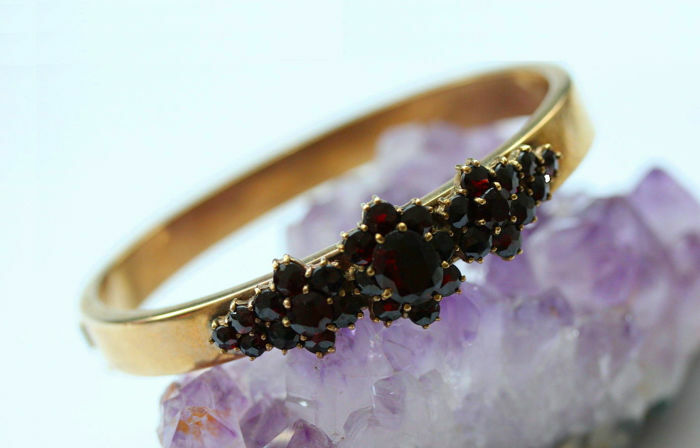 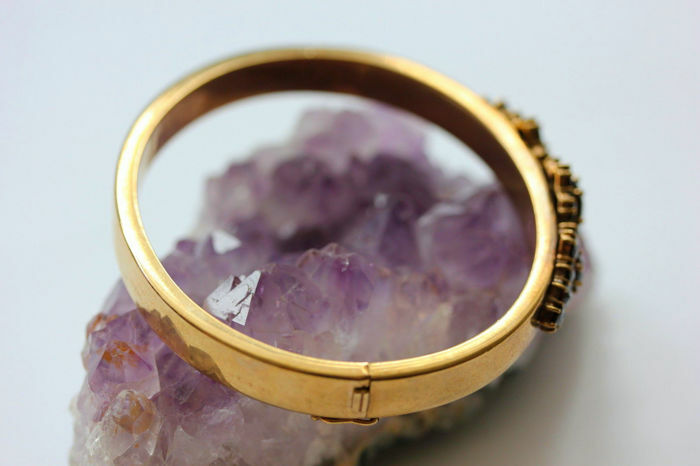 Included in the delivery: bangle. 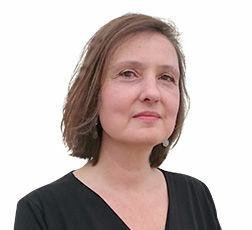 Pode levantar este lote em mão do vendedor: Hattingen (), Alemanha.